Web application for exploring the citation network of Dutch court decisions. The law is a text that describes what a person or legal entity can and cannot do. However, the law is somewhat open to interpretation. This interpretation is done by judges whenever a case is brought to court. Over time, the outcome of individual cases build what is called case law. Because consistency is crucial for the fair application of the law, cases often reference other cases: if the reasoning behind a ruling in one case also applies to another case, then the ruling should be the same. To warrant consistency it is thus paramount that any relevant rulings from previous cases are identified. Conventionally, both the justice department and the defense depend on legal experts to make this identification when preparing a case. However, court rulings are often difficult to understand, there is only limited time available, and even experts are not aware of all cases that may be relevant. 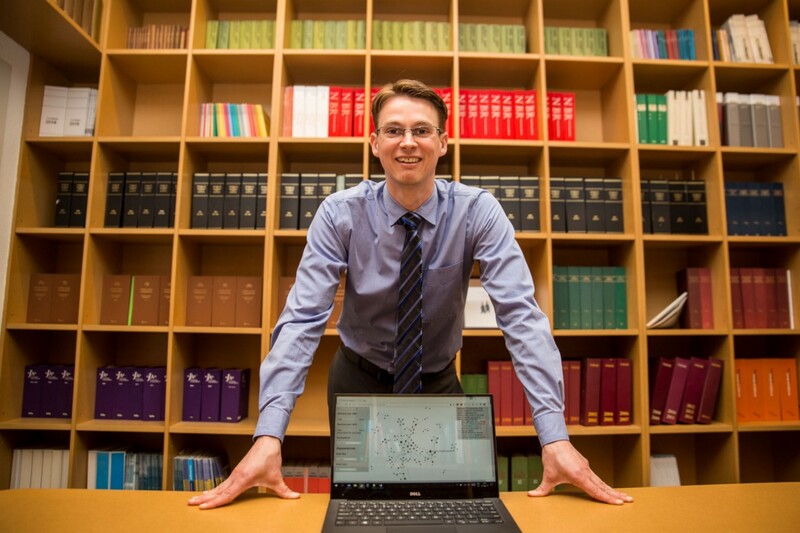 To help mitigate this situation, the Netherlands eScience Center worked together with Maastricht University to develop an interactive visualization that assists the legal community at large (prosecutors, judges, lawyers, legal aids, but also researchers and students) in analyzing case law. The visualization has been implemented as follows. The collective of cases that together make up case law can be thought of as a network, or graph. Each node in the graph represents a case, while the edges represent references to other cases. The graph is represented visually to make it easy for a non-technical user to discover which cases are related. By using metrics from graph theory, such as in-degree, out-degree, betweenness, etc., the nodes in the graph can be annotated with additional information. The additional information helps a researcher quickly assess a node's importance. How can network analysis lead to a new way of studying court decisions? It’s quite amazing to see how, thanks to this tool, a student can, in some ways, outperform the expert.